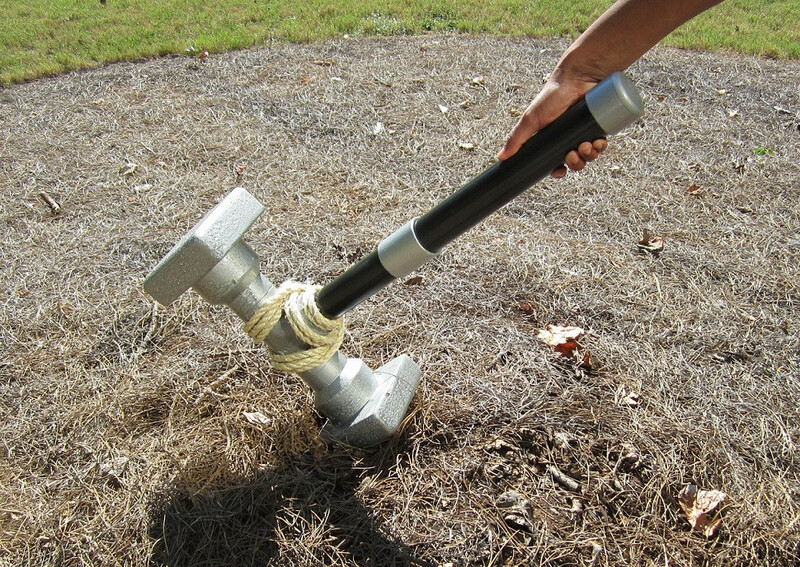 This giant hammer is a fun and quick project that can be knocked out in no time at all and makes for a great costume piece. Working on as many projects as we do, we always have left over materials. Most of these odds and ends end up being kept for “just in case” purposes that don’t usually come around. So I decided to use some of these and see what fun Halloween project could be done. Step 1. 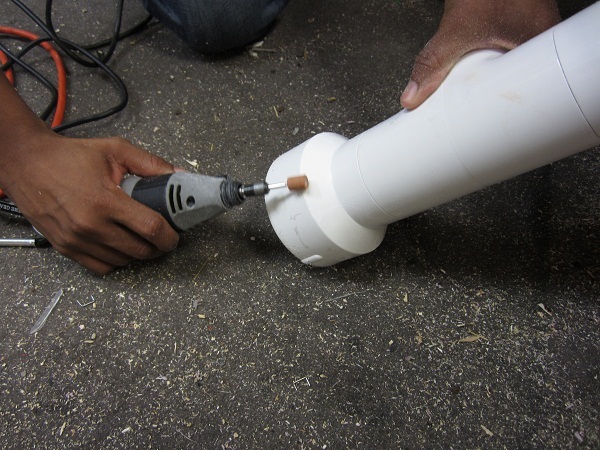 Begin assembling the PVC hammer by gluing the 2”x1 ¼” flush bushing into the bottom of the 2” tee. Step 2. 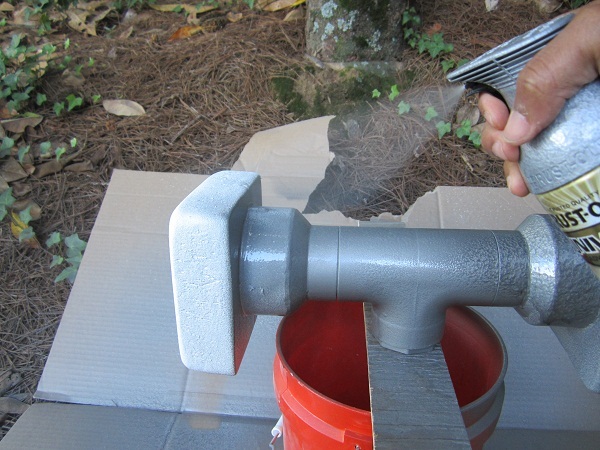 Cut the 2”x2’ pipe into two short sections around 2” long. With the PVC glue use these pieces as a connection between the 2” tee and the 3”x2” reducing couplings. This will form the body of the hammer. Step 3. Take the assembled PVC hammer body as well as the 1 ¼” cap and coupling and use either a sanding block or Dremel tool to remove any undesired raised lettering. I found the Dremel tool was great for roughing up the clean machined edges of the PVC. Step 4. When all sanding is done give these pieces an initial coat of the hammered silver spray paint. 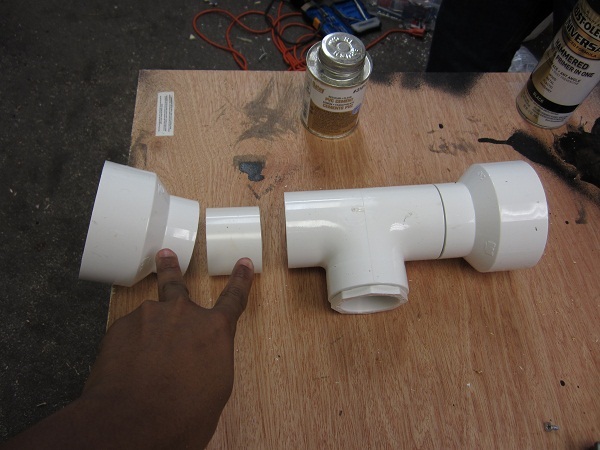 Take the 1 ¼”x2” PVC pipe and cut off a section around 6” long, both pieces will be painted hammered silver. Step 5. While the paint is drying cut out two 6”x 6” sections of the foam board using your jigsaw, these will become the heads of the hammer. Sand the edges with the sanding block to round them out. Step 6. When done sanding and the hammer body has had time to dry we can glue them together using the Power Grab adhesive. Smooth out any overage with a gloved finger and allow time to dry. Step 7. 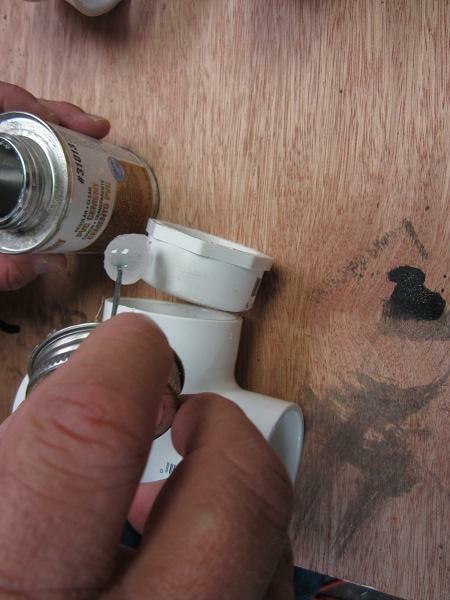 Before applying the final coat of paint to the full hammer top the foam has to be protected from the spray paint. 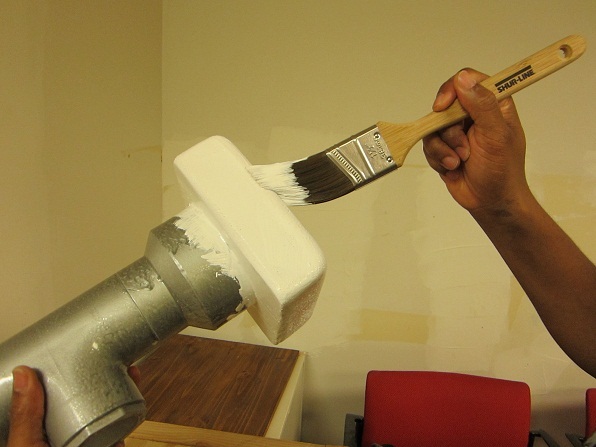 Apply two coats of white latex primer to the foam hammer heads. 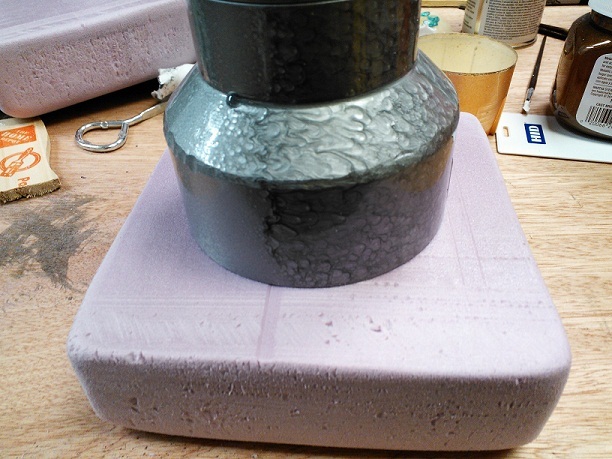 When the primer has dried apply the final coat of hammered silver to the full hammer top. Step 8. 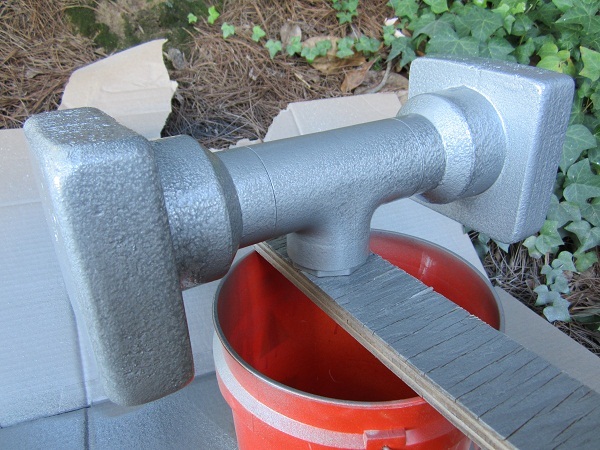 Assemble the hammer by taking the longer length of black 1 ¼” pipe and placing the silver cap on one end and the silver coupling on the other. The short 6” section of pipe goes between the coupling and the hammer head assembly. 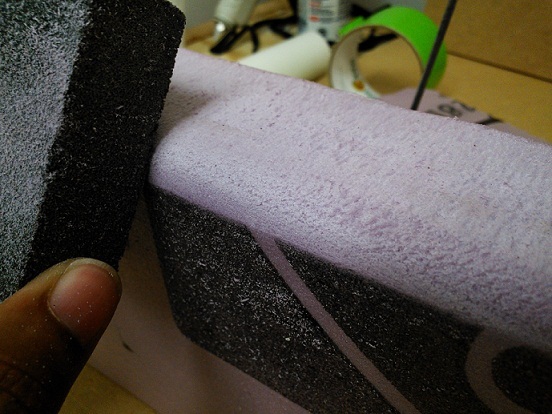 Using PVC glue at this point is completely optional. 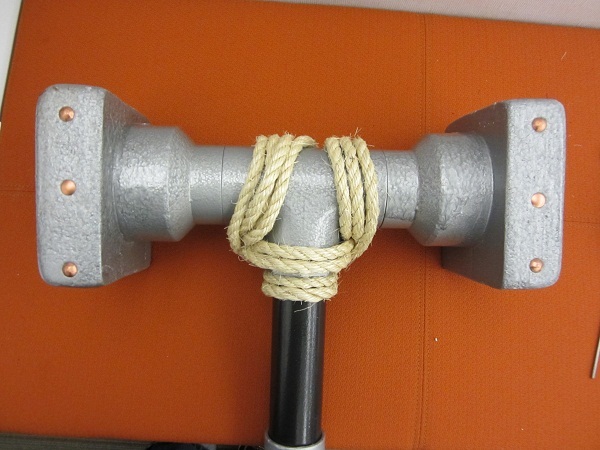 The hammer is now complete and you can leave it as is or add some fun embellishments to give it some personality. 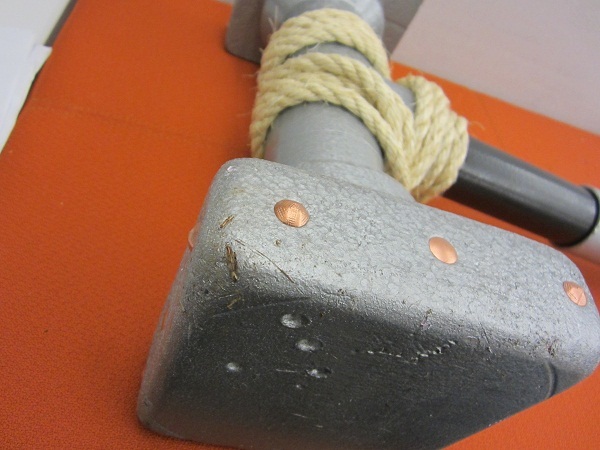 I spray painted some furniture tacks we had lying around the workshop with copper spray paint and added them to the head for rivets and wrapped the head in some left over rope and in less than 5 minutes I have a hammer that’s uniquely mine. So feel free to experiment and play with any ideas you may have.